Are you a person flying a round-dial airplane in a flat-panel world? Did you start your kit airplane with traditional gyros, only to find yourself, a few years down the road yearning for a digital beauty to simplify your scan? And are you interested only in avionics that require no additional wire-pulling from the front to the back of your aircraft? There are solutions out there for Experimental aircraft, but until recently there was little that was affordable in a TSO’d retrofit. The TSO essentially is the FAA’s stamp of approval on avionics that can go into Part 23 certified aircraft. Certified avionics shops work on these units, and they need a “yellow tag” and paperwork to follow them and document any work done for them to be “legal.” You don’t have to fly with TSO’d equipment in an Experimental aircraft, but a lot of us do. 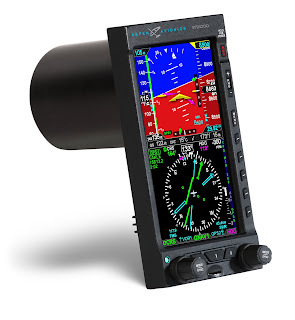 The new Aspen Avionics Evolution Primary Flight Display is the first truly affordable “all-in-one” replacement unit for the ADI and DH/moving maps in light aircraft. The Evolution’s modular footprint slides into a standard 3-inch round instrument hole, and is only 4.15 inches deep. The 7-inch long screen can display an ADI (with flight director v-bars on the ATP version), airspeed and altitude tapes with trends and bugs (and altitude alerts), as well as moving map (built-in GPS steering), terrain, traffic, weather and a traditional horizontal situation indicator/RMI display, built-in battery and emergency GPS. The flexibility of the unit is a function of its software. You can buy the lowest cost version, the MFD 500 (which has no ADAHRS) for $5000, and then upgrade it with software and a minor add-on piece of hardware as your needs change. You can even plug it in a different instrument hole and purchase a full-fledged EFD 1000, with ADAHRS. 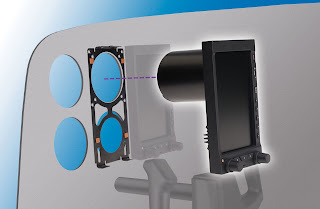 The two screens together are an eye-catching package, and cost less than several of the non-certified boxes that are available for Experimental aircraft today. How attractive and functional are these boxes? Good enough to attract some light aircraft OEM attention. At Sun 'n Fun, Aspen Avionics and Liberty Aircraft announced that the Evolutions will go into the Liberty XL-2 aircraft, and AOPA has the first certified unit in its Sweepstakes Piper Archer.